As many readers of my firearms articles may have surmised by now, I’m an unapologetic fan of pistol-caliber carbines. Why pistol calibers in a rifle? Because it just makes sense for a whole host of reasons, unless perhaps you’re a hunter of large game. A 9mm carbine, such as the Beretta CX4 Storm, is a perfect longer-range compliment to a handgun chambered for the same round. If your carbine accepts the same magazines as your handgun, such as a CX4 paired with a Beretta 92, so much the better. Back in 1996, Ruger tried to convince U.S. police departments to do just that. Ruger came out with two Police Carbines based on a scaled-up, beefed-up version of the blowback design used in their bestselling .22 LR 10/22 rifle line. The Ruger PC9 Police Carbine was chambered in 9mm, and accepted magazines from their Ruger P89, P93, P94, and P95 semiautomatic handguns. The .40 SW PC4 used magazines compatible with Ruger’s P91 and P944D handguns. The idea was that an officer would have a Ruger P-Series pistol strapped to his hip, and have in the trunk of the patrol car a fully compatible carbine using both the same ammunition and magazines as did the sidearm. The advantage of the Police Carbine being a longer effective range (100+ yards/90+ meters), greater accuracy, and marginally more power because of the longer barrel. That was not a new concept back in 1996, by the way. The American cowboy realized the advantages of owning a rifle chambered for the same round as his pistol shortly after the Civil War. The famous Winchester Models 1866, 1873, and 1892 were all chambered in popular handgun cartridges of the era. The most famous of these pairings would be a Winchester Model 1873 (“The Rifle that Won the West) and an 1873 Colt Peacemaker/Single Action Army (“The Gun that Won the West”) both chambered in .44-40 WCF (Winchester Center Fire). 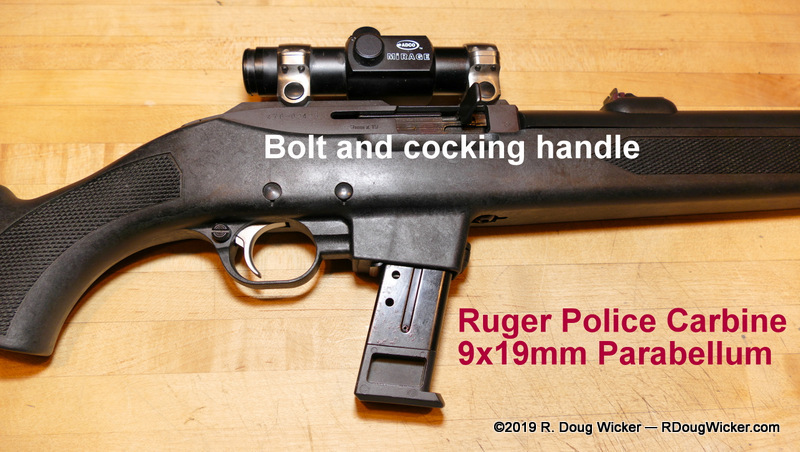 Alas, the Ruger Police Carbine came out about the same time that police departments started fielding AR-style rifles, and the Ruger P-Series was by then fighting obsolescence from lighter, cheaper, polymer-framed handguns with similar, or in some cases even greater, capacity magazines. The Police Carbine was also weighty, coming in at around seven pounds; and had a heavy trigger that, in the hands of someone who didn’t train a lot, tended to negate the accuracy benefits normally associated with a rifle. The PC9 and PC4 designs were also hamstrung by what some considered a tactically inferior traditional rifle stock rather than the more modern pistol-style grip of the AR. At the same time, the Ruger Police Carbine was considered over-engineered for the civilian market. It’s a very robust design, for sure. The Police Carbine was nearly sturdy as a block of granite, and about as reliable as grandma in the store candy aisle. That engineering comes at a cost, and the Ruger simply could not compete with cheaper pistol caliber carbines coming to market shortly after it debuted, such as the Kel-Tec Sub-2000, or the Hi-Point 995TS at nearly one-third the cost (2002 prices: Hi-Point $199 vs. $575 for the Ruger). So, the Ruger Police Carbine died in 2006, just ten short years after its introduction. 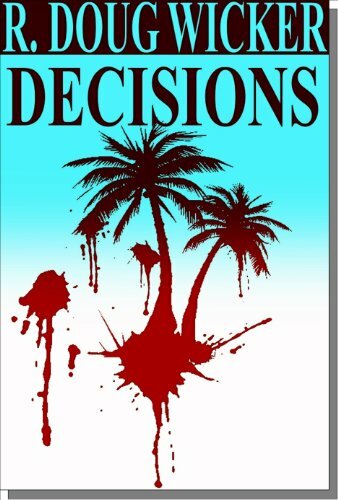 It would be greatly missed, however, and prices for used examples started shooting upwards. The PC9 is back as of late 2017, but in a slightly different form and at a cheaper price. Magazines are now paired to the Ruger Series-9 and SR-Series pistols, and the box includes an interchangeable magazine well that allows the new PC9 to accept Glock magazines if you prefer. It’s also a takedown design that comes with a Picatinny rail. 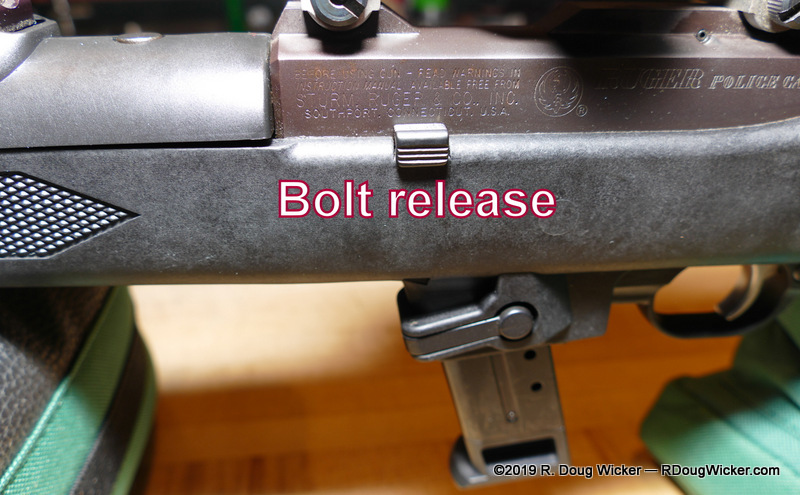 Where does that leave the original Ruger Police Carbine? It’s still a much sought-after firearm, but prices have probably stabilized, or perhaps even fallen slightly since the reintroduction of the PC9 (there is no new PC4, as the .40 SW is dying a not-so-slow death). If you can find an original Ruger Police Carbine for under $800, that’s probably a good deal. But I would expect to pay perhaps a couple hundred more for a very nice example. Throw in the original box and owner’s manual and you’re probably north of $1,200, but I’m no expert on that. 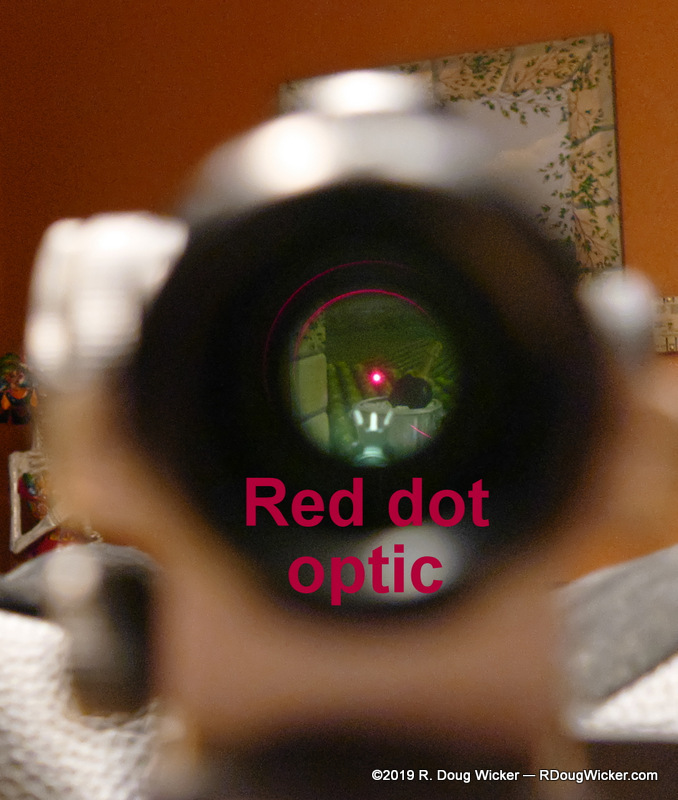 So, it was a pleasant surprise when, during a recent visit to my second favorite local gun store (Sportsman’s Elite, managed by my good friend Henry Bone), I found an excellent condition original 9mm Ruger Police Carbine which included a cheap but serviceable red dot held by Ruger scope rings mounted to the receiver, for less than half what I would consider a good deal. No box, no manual, but for $350 I’m not about to quibble. Then, when I ran the serial number, I discovered that this was a first-year production example, which pleased me even more. Assuming the serial numbers are sequential with no skips, this particular PC9 was the 2,225th carbine off the production line out of a first-year run of 4,189. 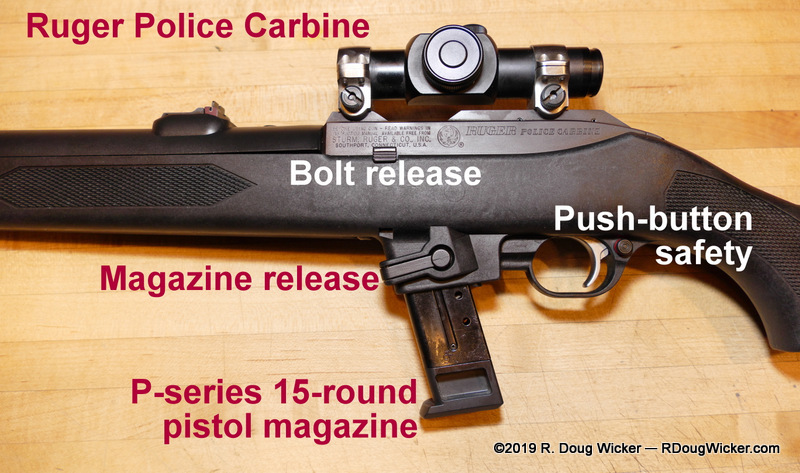 Inspection of the Ruger Police Carbine reveals that it is indeed the robust, slightly heavy design many have noted before me. With an empty magazine and the mounted red dot and rings, I measured 7.5 pounds/3.4 kilograms. But the real surprise to me was the trigger. 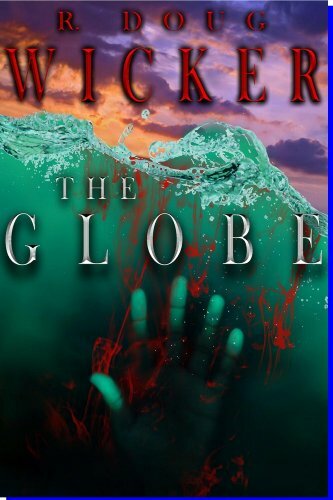 It was not nearly as bad as I’d been led to believe reading the contemporaneous reviews. Take-up is about .2 inches/5mm with no creep afterward. I estimate the trigger weight to be less than six pounds, but not much less, with a crisp break at the end. 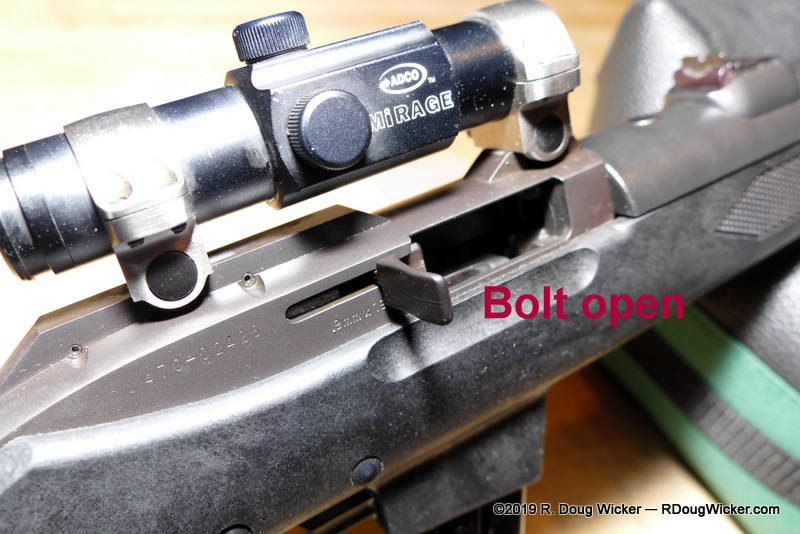 Trigger reset is less that a sixteenth of an inch/<2mm, with both audible and positive tactile cues. 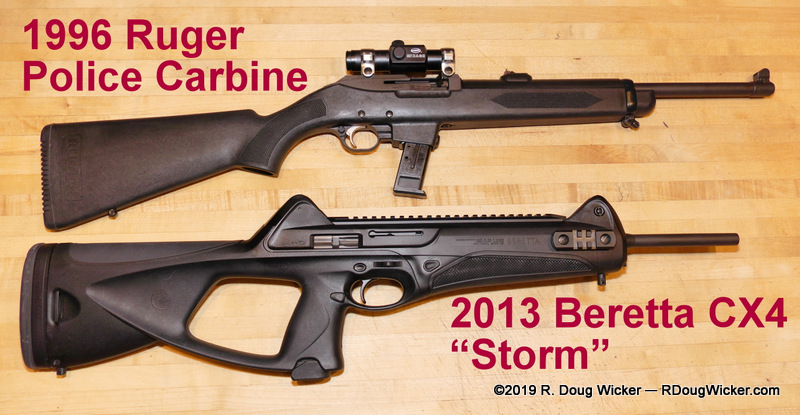 I’ll know more when I hit the range with it and compare it to the Beretta CX4, but the trigger seems to me more than adequate for the intended purpose — a pistol caliber carbine that extends the range of a standard 9mm round out to 100 yards/90 meters or so with relative ease. I’m also confident that the nearly 1 ½-pound additional heft will give the PC9 an even milder kick than that of the already mild Beretta CX4. 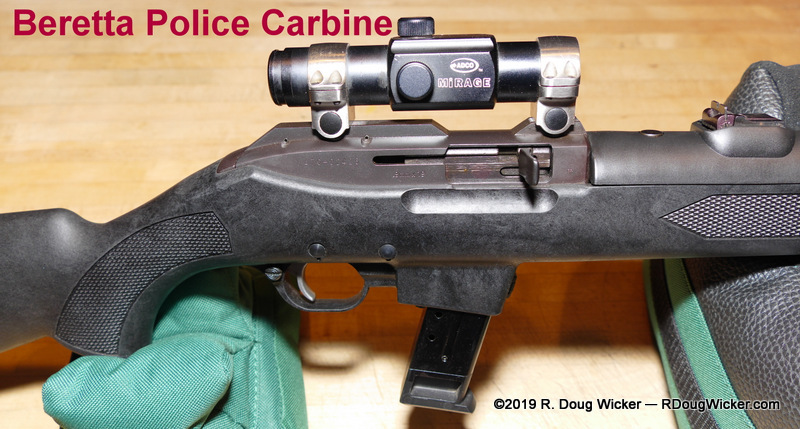 At any rate, and without the benefit of having actually fired the Ruger Police Carbine, I rate this rifle a winner in quality. It appears to indeed be every bit as over-engineered as its civilian-market critics claim, which to me is not a bad thing at all. In firearms, I’m a believer that you truly get what you’re willing to pay for. The trigger, while not match-grade by any stretch, seems completely adequate to the intended purpose of the design. I can see this as a very good urban home-to-backwoods cabin defense weapon, as well as a fun and affordable range plinker using relatively inexpensive 9mm ammunition. 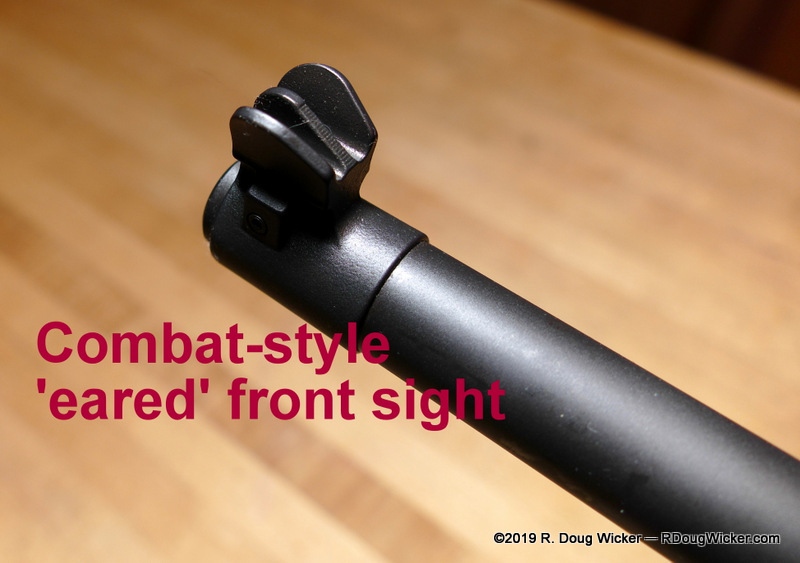 But the Ruger’s almost five additional inches of length over the CX4 would, in my view, make it somewhat less maneuverable in the close quarters of a home. My only regret? I would have preferred an original PC9GR, which substituted ghost ring rear sight for the standard Patridge open sight of the PC9/PC4.